Virgin Radio, talkSPORT 2 and talkRADIO are off to a promising start, the latest Rajars shows, while Heart maintains its lead as the number one national commercial station - but for how much longer? Wireless Group delivered some happy news to its new owner, News Corp, as it enjoyed a boost to its listenership after launching three new stations at the end of March. The company's flagship station, talkSPORT, recorded 3.29 million listeners between April and June - a rise of 6.5% on the previous quarter, and 8.4% on the same quarter last year. The the three new stations each racked up a respectable number of listeners in their first three months on the air. Wireless labelled the 409,000 listeners for the relaunched Virgin Radio a "resounding success". TalkSPORT 2 had 285,000, and talkRADIO 224,000. Rupert Murdoch's News Corp bought Wireless Group in June, a move the company said "represents an excellent strategic fit" by uniting The Sun and talkSPORT brands. 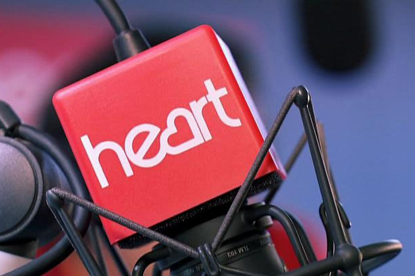 Global-owned Heart recorded 8.95 million listeners between April and June, down from 9.01 million last quarter, but 1.1% higher than the same quarter a year ago. But Capital added an extra 300,000 listeners, taking its total to 7.85 million – up 3.9% on last quarter and up 10.5% on last year. Combined listeners for Capital and sister station Capital Xtra are now 8.53 million – meaning that if these trends continue, the brand could overtake Heart as early as next quarter. The next three biggest stations all gained listeners on last quarter too. Bauer Media’s Kiss held on to third place with numbers of 5.53 million, up 2.4%. But after a dip in listeners last quarter, Global’s Classic FM almost closed the gap with 5.51 million, up 7.6%. Fifth placed Smooth rounded off a positive quarter for Global’s flagship brands. Smooth Network had 4.96 million listeners – up 3.2% on the quarter and 6.9% on the year – while adding in Smooth Extra took the total to 5.59 million, making it the number three commercial radio brand overall. Overall, national commercial radio stations attracted 19.39 million listeners, up 6.4% on last quarter and 8% on a year ago. Other stations to see a boost included talkSPORT (up 6.5% to 3.29 million), Gold (up 2.2% to 1.08 million), LBC (up 12.3% to 1.73 million), and Kisstory, up 6.9% to 1.54 million.